One of the first thing you need to have if you want to learn BJJ is a proper BJJ gi (uniform). The gi is an important part of the BJJ curriculum because it mimics street clothes. Carlos and Helio Gracie initially developed BJJ as a self defense method for street fights. The gi allows practitioners to manipulate the collar, lapel and sleeves to do choke holds, defend against attacks and so on. This represents the realism of street fights, in people often grab and grip on fabrics. Most BJJ schools do not give a free gi upon registration, so you need to purchase one yourself. While BJJ schools in the United States and abroad also sell gis, this is not the case in Indonesia. Here, you really need to buy one yourself whether via online or go to a martial arts shop that sells BJJ gis. BJJ gis are not cheap and therefore, you need to be really careful in buying one. 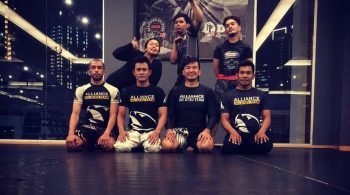 You do not want to get ripped off, especially here in Indonesia, where martial arts shop staffs are still clueless about BJJ let alone its uniforms. Some people who start BJJ have already taken or graduated with a black belt in other martial arts, such as karate and taekwondo. They often think that their uniforms can replace BJJ gis but this usually is not the case. BJJ gis are a lot thicker and are enforced more because they are meant for a long period of grappling and rolling on the ground. Karate and taekwondo uniforms have thinner fabric than BJJ gis and they do not have the same endurance. 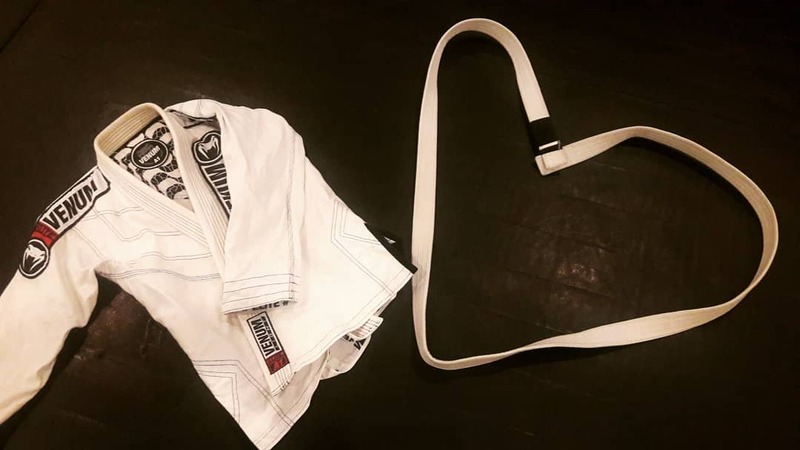 The closest martial art uniform to a BJJ gi is the Judo gi because Judo also involves a lot of gripping and grappling for a long period of time. In comparison to Judo gis, the BJJ gis are more tightly fit. Some BJJ schools allow its students to use Judo gi, some do not. If you are a Judo practitioner, make sure to clear this up with your BJJ instructor before you buy a BJJ gi. Before buying your first BJJ gi, you need to know the right size for your body. Adult BJJ gi size starts from A0 to A4 with the latter being the largest size. Note that there is no international standard of what makes an A0, A1, A2, A3 and A4 gi. Each gi manufacturer has its own size chart. So, before you buy a gi, go to the internet and find out the size chart of a gi brand that you want to purchase. In Indonesia, BJJ gis manufactured by well known international and local brands are usually sold between Rp 1.7 million (US$122) and Rp 4.5 million. Some smaller local brands also sell gis at between Rp 500,000 to Rp 800,000 but I do not recommend buying these. It is always better to buy more expensive gis from more well known brands because they often last longer than cheap ones. The last thing you want to have is a gi that cannot last less than 3 months of rolling. A good gi should last for at least two years before it starts to rip. Some good international brands to try out are Venum, Tatami, Bull Terrier, Grips, Moya Brand and, if you have the money and access, Shoyoroll. Some local Indonesian brands that you can check out are Springroll, Rounin and Genetix. Gis that I personally use currently are from Venum and Springroll. It is also important to note that gis and belts are sold separately. A BJJ belt are usually sold at between Rp 125,000 to Rp 700,000 for the premium ones. Unlike the belts, gi colors do not represent your proficiency in BJJ. So, even if you are new, feel free to wear a black gi as long as you still wear your white belt. However, some schools do have regulations on what colors the students are allowed to wear. Some specifically oblige students to wear only white gis and some are very lenient that you can choose whatever color that you want. If you happen to join a school that allows free gi colors, then feel free. However, if you are also thinking about competing, I suggest to buy only the white, blue and black gis because most big competitions only allow competitors to wear these colors. The number of gis to buy will depend on your training frequency. The more you train in a week, the more gis you need to have. Usually, people, who just start training BJJ, train between two to three times a week. So, having at least two gis is the minimum requirement. You need to wash your gi after each training session and for it to finally dry out usually takes a couple of days. So, you need to have a back up gi if one does not dry out on time. If you train everyday, then you should have at least four gis. BJJ is a pretty new martial arts in Indonesia and it only rose to mainstream in the last decade. There are less than 20 black belts out of nearly 300 million residents. With such a niche community, finding BJJ gi sellers can be very difficult. Most of them are located in Jakarta, the capital, and if you live and train outside of Java, then there is no choice but to go online and buy gis from Jakarta. Fortunately, most BJJ gi vendors in Jakarta also sell their products online via marketplaces such as Tokopedia and Buka Lapak. You can check out the BJJ shops there and you do not need to worry to buy from them because the vendors will only get paid once you have received your products. Honestly, this is the go to place if you are looking for good quality BJJ gis. It offers a wide range of selections coming from big international brands such as Venum, Tatami, Scramble, Bull Terrier, Moya Brand and Kingz among others. The owner can also help you to get rare gis from abroad for the right price. Other than gis, the shop also sells other BJJ stuffs, such as finger tapes, rashguards and compression shorts. The shop is located in Bintaro, south Tangerang, just south of Jakarta. It occupies a very small space on the side of a road so finding it might be difficult for first time buyers. You can find out more about the shop and contact the staffs for location guide or even purchase their products on their website here. I bought my first gi from this shop. It has a lot of branches throughout the Jakarta region. One of the more accessible ones are located at the Grand Indonesia shopping mall in central Jakarta and Lotte Kuningan Avenue mall, also in central Jakarta. BJJ gi brands that are sold here are from Grips, Jaco and Genetix, a local brand. I would not recommend buying Genetix though because mine got ripped after just six months of rolling. They also have a Tokopedia account and an online store. Spring Roll is an Indonesian manufacturer of BJJ gis. It is like the Indonesian version of Shoyoroll because it releases gis in limited amount for exclusivity. I have one Spring Roll gi and so far, it is not disappointing. It comes with a much cheaper price compared to international brand gis but features the same quality. Spring Roll is a great choice if you want to buy a good BJJ gi on a budget. As far as I know, Spring Roll does not have a physical store. You can purchase their products via their Tokopedia account (just look for Spring Roll in the Tokopedia search box) or through their official website. A lifestyle journalist and a student of the gentle art with Alliance Jiu Jitsu Indonesia. Subscribe to my blog for more BJJ stuffs and occasionally, some rants. Training BJJ in the gi or no gi; what’s the difference? Training BJJ in the gi or no gi; what's the difference? ©2019 HansDavidian.com All Rights Reserved.